Today we’re excited to introduce a new occasional series to the website: Ertai’s Trickery! 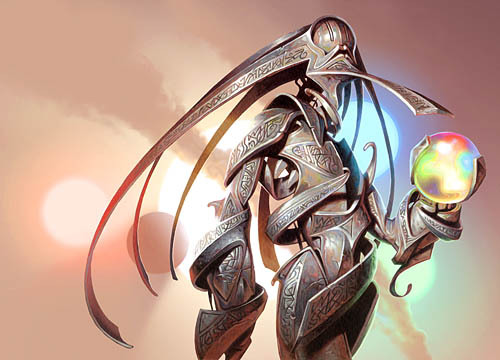 Whereas the Meddling series follows very specific rules with an eye to refining an existing deck within its own framework, Ertai’s Trickery throws such stodgy methodolgy to the wind. No, what you’ll find here is the offbeat, the oddball and the extraordinary, and we’ll be beginning today with the start of a mash-up deck. One suggestion that you might want to try in the near future: since you already have all these Wizards-made decks (Intro Packs, Duel Decks, etc), what say you to doing a mash-up of sorts? I mean, use cards from another precon to tweak and improve this deck. For example, use the “Assemble the Doomsday Machine” Archenemy deck or “Metallic Dreams” Planechase deck to give the Tezzeret deck a boost. I know that you have specified your procedure of editing decklists (e.g., no adding rares) but this might be a good thing to try. The more we thought about it, the more fun the idea sounded. But then we thought, “hey, why limit ourselves to just two? Since we have all three of those solidly Artifact-based decks in our library, let’s see if we can’t come up with something truly wicked. So Planechase’s Metallic Dreams, Archenemy’s Assemble the Doomsday Machine, and Duel Decks: Elspeth vs Tezzeret’s Tezzeret deck came down off the shelf and were dumped into one large pile. 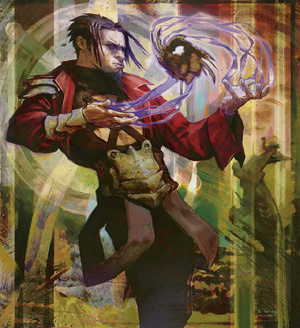 That said, Ertai’s Lament is a site not only dedicated to exploring and reviewing Magic’s preconstructed products, but we also like to keep a firm focus on explaining the fundamentals of the game. With precons the gateway to Magic for so many, there’s a great synergy between teaching the principles of the game and just having fun with it! Ertai’s Trickery will be no different- we won’t just cut cards out or throw cards in, we’ll be telling you why we made the decisions we did as we refine the deck with each episode. We won’t always make the same choices you’d make, and we reserve the right to be flat-out wrong on occasion, but we’d especially welcome feedback from Trickery readers to let us know what they think of the deck, what choices they’d make and how they’d do things differently (or similarly!). Since this is a time for Artifacts to shine, we’ll be calling this the Mad Machinist’s Mash-Up, and it will be unfolding over several columns. The climax will be a face-off against the vexing Elspeth, crusher of so many would-be Artificer’s ambitions (if the comments many of you have left here are any guide to go by!). And so, to get right into it, today we’ll be setting the stage with our first- and by far the easiest- round of cuts. Dreams was a five-colour hybrid deck, which means we’ll have a fairly easy time sifting through it to make our Mad Machinist deck. Starting with the Land, everything can be pitched except for the Vault of Whispers and two Seats of the Synod. These ‘Artifact Lands’ have no drawback over normal Lands with regards to playing, and can be a huge help with powering out our trinkets more cheaply! Next, we’ll move onto the Creatures. The Sludge Strider is right out, as it requires to be cast, and it can take the gaggle of off-colour Myr with it (Iron, Gold and Copper). And as splendid a battlefield commander as Bosh, Iron Golem might make, he needs to activate his special ability. Gonzo. Part of Metallic Dreams’ effectiveness came in its use of the Sunburst mechanic. Capable of generating all five colours of mana, you very frequently could cast this for maximum effect. Mad Machinist will have no such recourse, so the Suntouched Myr and two Etched Oracles become the next cards headed for the bread lines. Lastly, looking at the non-Creature spells availabile to us and applying the same logic, we’ll drop the Door to Nothingness and twin Pentad Prisms from contention. No precious Artifact Lands here, I’m afraid- all we’re given outside of the basics is a pair of Terramorphic Expanses. Ordinarily the solid budget choice for mana fixing, we’ll be taking a pass here for a couple of reasons. First, they’re simply too slow, which is the price you pay for Common mana fixing in the Land slot. Secondly, we have plenty of fixing options available to us in the Artifacts we have to chose from. 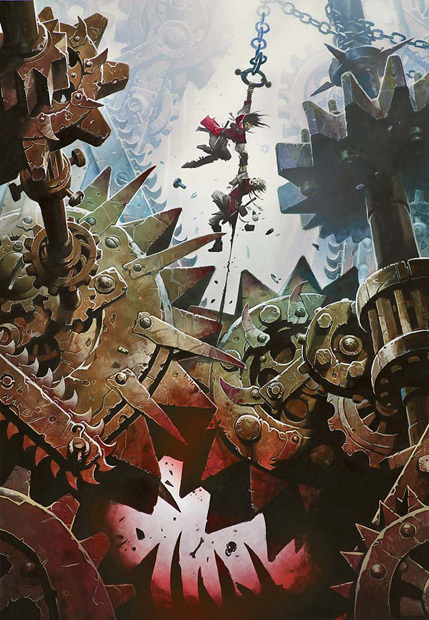 And finally, with so much of our deck being castable with any mana, Mad Machinist will have less vulnerability to being short on mana that most other decks. In distinct contrast to Metallic Dreams, Assemble turns out to be comparatively Creature-light and off-colour heavy. As a result, we’re blessed with some easy cuts here: the Magister Sphinx, Leonin Abunas, Sanctum Gargoyles, Ethersworn Shieldmage, and Metallurgeon have all been downsized and escorted to the front door by security with their personal effects in a cardboard box. Similarly, a pass through the non-Creature cards lets us excise a number of mana-fixers designed for the three-colour Assemble: Azorius Signet, Obelisk of Esper, Fieldmist Borderpost, Unbender Tine, and Sorcerer’s Strongbox. Alright, so that last one is perfectly castable, but readers of past columns know of my perfectly reasonable hatred of the Strongbox, and castable or not I’m not subjecting myself to that card in any remotely voluntary basis. Sifting through the lands, another Seat of the Synod reveals itself, and there is much rejoicing! That brings our total up to a respectable three. From there we have a Stalking Stones, Darksteel Citadel, and Mishra’s Factory, all possible contenders. 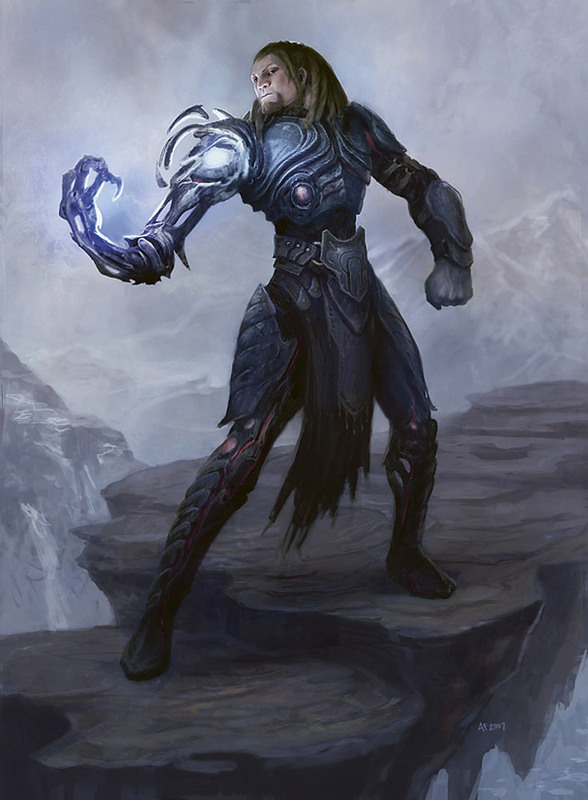 A bit of a mixed blessing here, though: since Tezzeret’s deck is mono-Blue, there are no easy colour-based cuts to be had. Still, in our review of the deck we identified some cards that were somewhat weaker than the others, so let’s go ahead and draft up their pink slips: Frogmite, Assembly-Worker, Trip Noose and Elixir of Immortality, you’re fired! And there we have it- our first round of cuts! These, of course, were all the easy ones, things are going to start heating up in the next round. Who will make it, and who will be issued their walking papers? Find out in two days’ time! I was kind of a bit surprised that you cut all the White, and not going the Esper route. is it because you had too much cards in your hands to choose from? so you’re tailoring this into an anti-Elspeth deck? It’d be delightful to see a similar Ertai’s Trickery series for that deck. but let’s finish this one up first. Elspeth might be an interesting match-up with Bant Exalted and Bant on the March, considering her heavy story-ties with that shard. Something to consider! *laughs* Okay, I can promise you this- we’ll have a full decklist for the ‘final version’ of the MMM deck! Still, trying to keep it easy-to-follow with the cuts. Ill be cure to try out the tezzeret one! Thanks! I think you’ll be interested in some of the decisions we did end up making with the deck, the next installment goes up Saturday! However, great new series! I’d suggest combining the Planchase’s Elemental deck with the Lorwyn one. Intesrested that white was dropped so readily as there are a few nice options there. I will have to direct my girlfriend to this series. She has been meaning to build an artifact deck since picking up assemble the doomsday machine at the archenemy games day. Wow… I didn’t think I’d find something I loved as much as the meddling series, but this is really nice. The tournament style cutting is an exciting, and new way to look at the game for me. I’m very interested to see how this is going to turn out, and what comes out on top. This could get especially nasty. Ok, now this is an interesting series, as I have all of those decks. 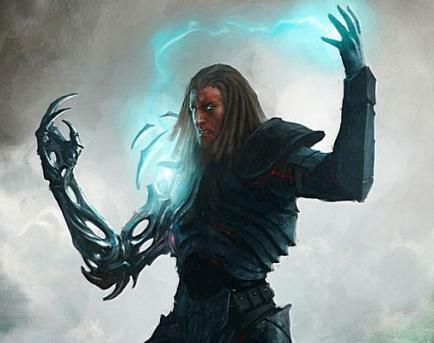 Never thought really of a mash-up between them, specialy since Tezzeret is a monocolored deck. I like it, let’s see where this goes.